Former President Bill Clinton was a Rhodes Scholar and brought many fellow Rhodes Scholars into his administration. They included Strobe Talbott, Robert Reich and George Stephanopoulos. The desire of Cecil Rhodes, for whom the scholarships are named, was, in his own words, "to take the government of the whole world." And most Rhodes Scholars have been globalists in their world views. During the current Democratic primary campaign, Clinton has encouraged fellow Little Rock, Ark., Rhodes Scholar Gen. Wesley Clark to run for the presidency. However, they are up against another powerful political force, and that is the Skull & Bones secret society of Yale University. President George W. Bush, his father, grandfather and other members of the Bush family have been S&B members. And -- like President Clinton bringing fellow Rhodes Scholars into his administration -- Bush has appointed a number of S&B members, including Edward McNally (general counsel to the Office of Homeland Security), William Howard Taft IV (legal counsel to Secretary of State Colin Powell), and William Henry Donaldson (chairman of the Securities and Exchange Commission). Time magazine founder Henry Luce was a member of S&B, and in Robert Herzstein's 1994 biography, "Henry R. Luce," S&B is characterized as "a secretive group of young men pledged to help each other throughout their lives." 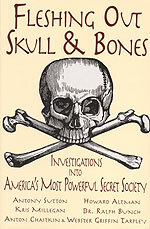 And "Secrets of the Tomb: Skull and Bones, the Ivy League and the Hidden Path of Power," written in 2002 by Alexandra Robbins, a member of Yale secret society Scroll & Key, quotes a Bonesman as saying S&B's founders "were a very adult set of the ruling elite." 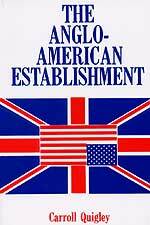 As an example of their influence, S&B member Winston Lord has been president of the Council on Foreign Relations. Quite a few members of S&B have worked for the CIA, among them George H.W. Bush, William Bundy, William F. Buckley Jr., William Sloane Coffin and Archibald MacLeish. Sometimes, the interests of S&B and Rhodes converge, as Clinton appointed Winston Lord (S&B) as an assistant secretary of state. And Rhodes Scholar and U.S. Senator David Boren promoted George Tenet to be head of the CIA. And then Boren put on his S&B hat to persuade Bush to keep Tenet in that position. At about the same time, Cecil Rhodes was forming his Society of the Elect in the late l9th century to pursue his plans, S&B member William Whitney (a director of J. P. Morgan's Guaranty Trust) was developing a plan for political power. According to Clinton's mentor at Georgetown University, professor Carroll Quigley, it was Whitney and other members of the power elite who "expected that they would be able to control both political parties equally. Indeed, some of them intended to contribute to both and to allow an alternation of the two parties in public office in order to conceal their own influence ... and to allow the electorate to believe that they were exercising their own free choice." Quigley wrote this in "Tragedy and Hope" after he had looked at what he called the power elite's "secret records." I have been able to refer to some of these "secret" records, as well, and I have the taped interview The Washington Post conducted with Quigley, after which the newspaper published an article with the headline, "The Professor Who Knew Too Much." Today, it is a matter of controlling the choice Americans have for president. If you don't like S&B member Bush (Republican), then your choice might be to vote for S&B member Sen. John Kerry (Democrat). Thus, S&B would "conceal their own influence," as there would be what S&B member William Whitney described as "an alternation of the two parties in public office." But S&B members Kerry and Bush both have supported NAFTA and GATT, for example, which are also supported by most Rhodes Scholars and are vitally important to the power elite.